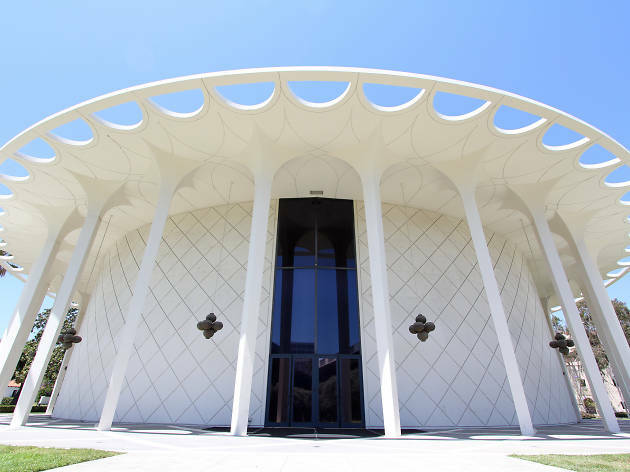 This 1,100-seat circular auditorium regularly hosts mathematicians and astrophysicists. 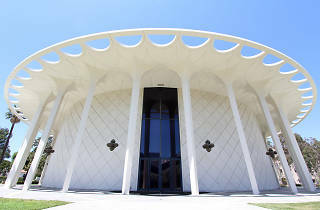 But the temple-like theater and its golden tented ceiling is also home to Caltech's performing arts programs. The university's public programming includes its long-running chamber and folk music series.